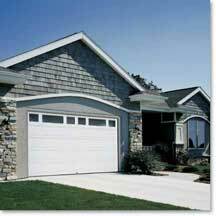 Serving the North Bay Area since 1966, Jones Garage Door Company is committed to the providing the highest quality products combined with consistent professionalism in sales and service. What really sets us apart, however, is our personable approach. At Jones Garage Door Company, you're more than a customer - you're among friends! Jones Garage Door is proud to offer the full line of industry-leading Raynor Garage Doors, offering the best combination of style and quality on the market today. In addition to Raynor Garage Door products, we also offer a full line of gate openers from top manufacturers such as Elite, DoorKing, and FAAC. As a testament to our workmanship and professionalism, Jones Garage Door Company is a member of the International Dealers Association, California Dealers Association, and the North Coast Builders Exchange. For more information about Jones Garage Door Company - and the value we can offer to homeowners, homebuilders, business owners, and contractors - we invite you to view the many products and services profiled within this Web site. Better yet, visit our showroom at 1001 Transport Way in Petaluma to see working models firsthand. For additional information, contact a Jones Garage Door Company representative at 707-795-5426 to arrange a no-cost consultation at your home or business.